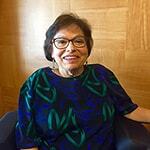 Judith Heumann had polio in 1949. She has devoted her life to fighting for the rights of disabled people. She sued the New York City Board of Education for discrimination when they failed her on her medical exam because she was unable to walk. She won and became the first wheelchair rider to be certified as a teacher in the New York City school system. Since then, she has co-founded a number of disabled persons’ organizations (DPOs), including the Center for Independent Living and the World Institute on Disability in Berkeley, California. She also served in the Obama administration as the first special advisor for international disability rights in the U.S. State Department. She shares how all of these experiences have contributed to her resilience. Q: You’ve spoken about the discrimination you face as someone who is a wheelchair rider. How have you built resilience in light of this? My personal advocacy and work fighting for the rights of disabled people are pivotal to my resilience. I, like millions of others, continue to face discrimination. It hurts, and it makes me angry. But knowing that I am making a difference and contributing to a movement propels me forward. The fight continues because we see changes being made in our society. Q: What role can community play for those who’ve acquired a disability? It’s important for newly disabled people to surround themselves with others with similar experiences so they can learn and continue moving forward together. The Centers for Independent Living are locally run organizations led by disabled people that connect those with disabilities for peer support, advocacy, and promotion of policies and practices to ensure inclusion. Q: How can we support a loved one who has recently acquired a disability? Most people find it important to keep close connections with those they love, whether they have a disability or not. Friends sometimes disappear because they’re uncomfortable or don’t know how to help. You can support a loved one by listening, staying involved, and acknowledging that things may be different—temporarily or long-term. Your loved one may be experiencing dramatic changes. Try not to fade out of their life. Offer to pick up groceries while you’re out or drive them to doctor’s appointments. Notice what they could use help with, but also notice all the ways they can still help you, too. Q: How can people become better allies to the disabled community? Most people have someone in their immediate circle with a disability. There are some disabilities you can see, but there are others—like cancer, diabetes, depression, anxiety, epilepsy, and PTSD, etc.—that you can’t. Broaden your definitions, and then try to understand what disabled people are experiencing. Follow disability advocates on social media or seek out relevant stories in the press. Books and TV shows can also give you a window into the experience of someone with a disability. I like the book No Pity and an episode of Drunk History, both about the disability rights movement, and a children’s book called Wonder, about a child born with an atypical face. Most importantly, don’t look at those of us who have a disability with pity. We are valuable, contributing members of our communities. Q: What improvements have changed life for disabled people? I look at disability issues from a human rights perspective. Our cities must be accessible for people who have all forms of disability. Disability is a normal part of life, even though many fear it. When our communities are accessible physically, technologically, and socially, they enrich all of our lives. Between when I was born in 1947 and today, there have been tremendous changes—accessible buses, ramps on streets, accessible public restrooms, sign language interpreters, captioning on television, the Americans with Disabilities Act, and other important pieces of legislation. None of these things existed before. We’ve made enormous progress. Q: How can we “kick the elephant out of the room” around disability? It starts with exposure. According to the Centers for Disease Control, one in four Americans has a disability—that’s sixty-one million people. And yet how often do you see a movie character with a disability? When I was in the State Department, I took the bus to work every day, I traveled around the world, and I demonstrated what is possible. I think that sent an important message: Don’t assume my life is a tragedy or that disabled people have nothing to contribute. We are leaders, fathers, mothers, daughters, and sons, we are capable voters and contributors, and we are not invisible. There are so many times when Option B comes into play in the disabled community. Often, my Option A is simply not possible. So I don’t give up—I look for alternatives. Option B is a way of moving forward, no matter what gets in your way. Working with others who share our goals empowers us. We are all change agents!